When Carlos Santos saw an opportunity to own his own business doing something he loved, he worked for it, saved for it and seized the opportunity to make his dream a reality. 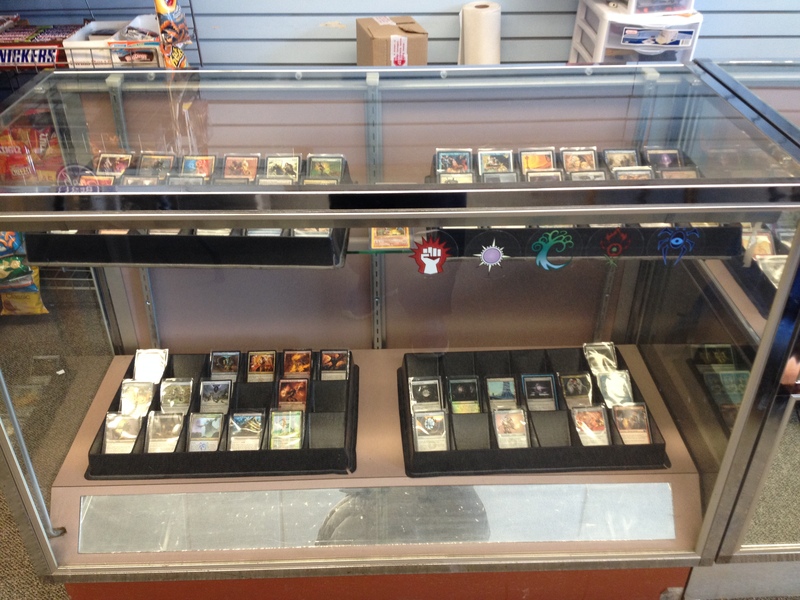 Today, a hot spot for young adults in Torrington is Santos’ Card Empire. Santos says, “In Torrington (Card Empire) is one of the few places where teenagers and young adults can hang out in a safe place and play with their friends.” Attendance is growing with each month as word spreads about the fun activities happening here under Santos’ guiding eye. Years ago Santos was working as a middle manager at a national chain retail store but he had a vision of doing something other than corporate retail. He yearned to be in business for himself and grow that business in his own way. During that time he had been a fan of the card game Magic the Gathering and was a regular at Card Empire under the prior management. When the opportunity arose to own the business, he set to work to make his dream a reality and in October 2013 Santos took the reins. Within a year and 2 months he moved the base of operations from Migeon Avenue to it’s new location on 630 Main Street and business flourished. 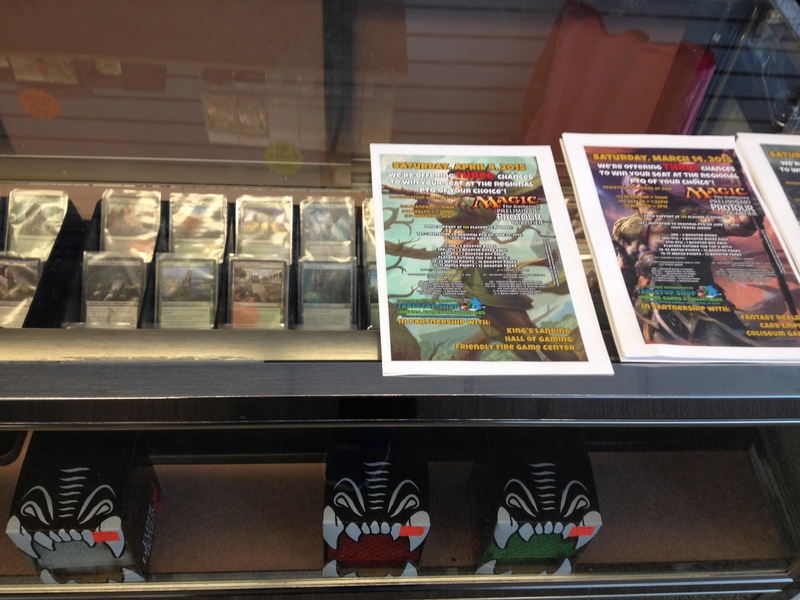 A popular game at Card Empire is Magic the Gathering. Santos shares that this game emphasizes the social interaction between players and friends at a table juxtaposing that with the idea of some video games which can seem like a solitary venture. With Magic the Gathering, one can play against friends or play as a team of Planeswalkers. A game can start minimally with a 60 card deck under casual rules. There are spells and creatures, and with strategy a player attempts to use spells against their opponents. Besides Magic and Pokemon, another popular game that has taken off at Card Empire is Dragonball Z a game that was released in October of last year. Santos believes his is one of the only stores hold events in Connecticut and he is working with other stores out of state to create tournaments. Card Empire is open Wednesday, Thursday, Saturday and Sunday, Card Empire is open from 12pm to 9pm and on Fridays it’s open from 12pm to 2am! Actually, Card Empire was a greater store when its old owner, Howard Halukin, was the one running the show. He had so many more card games available to play, such as Yu-Gi-Oh!, and there was a much more lively atmosphere. Today, Card Empire is a empty shell of its former self and doesn’t attract quite the crowd. I blame the players for quitting the games, not the owner. Thanks for sharing your input, Eric. I did not visit Card Empire prior to new ownership so I do not have that experience to compare it to. On the evenings I have driven by the new location it has never been empty, in fact the opposite was the case but I was not comparing the former owner’s business to the current one. Thanks for reading the article and I do plan on writing a follow up to it, perhaps about a tournament if one is held and I hope you will read that article as well!